Much like a ball point pen, with the integral top mounted reservoir, the point of the nib looks like a disc and transfers an even flow of ink onto the paper. Suitable for strokes of the same thickness and for using with a letter stencil. 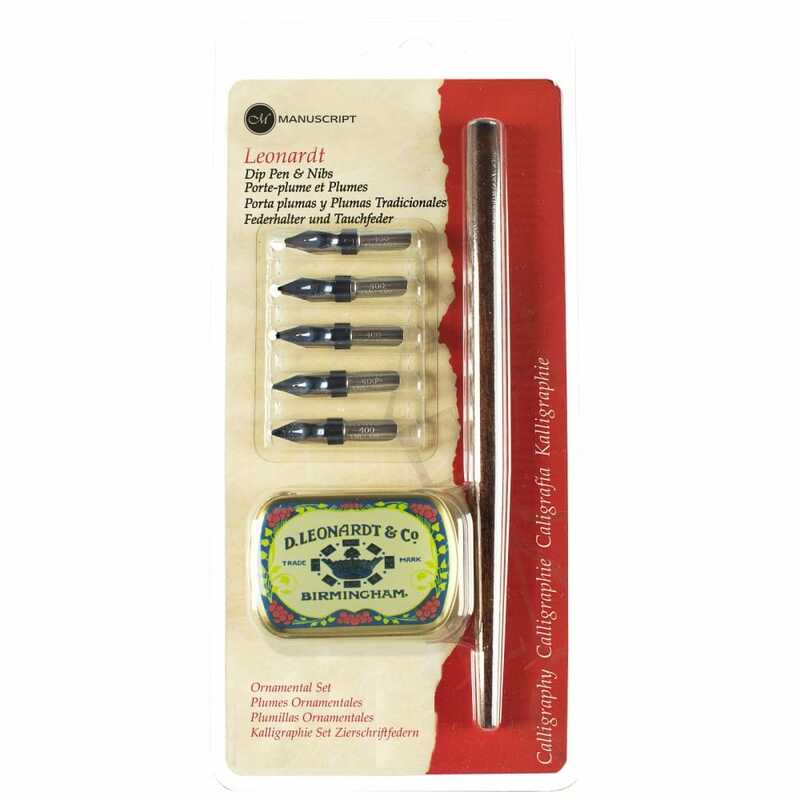 Set contains 1 wooden pen, nib sizes 1mm, 2mm, 3mm, 4mm, 5mm and a small storage tin ideal for keeping the nibs safe while not using.